What is Reli Med EHR? ReLi Med EHR is an electronic medical records system designed for small to medium-size ambulatory care practices. 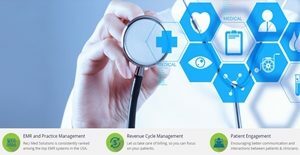 Accompanied by the reputation of a reliable and user-friendly EHR software servcoce, ReLi Med provides a level of automation and customization that allows doctors and their personnel deliver a patient-focused healthcare service. The software is adaptable to the workflow of different ambulatory practices, as it comprises of specialties such as family practice, urgent care, internal medicine and pediatrics. Being a user-friendly EHR, it also offers a mobile system that facilitates communication among doctors, personnel, providers, and patients. It’s instant alert system is regarded as one of its notable capabilities. ReLi Med EHR’s easy to use scheduler is one of the features of the software where its alert system is implemented. Users can set specific alerts and they are provided with the option to either select between automated or manual-entry alerts. With this feature, the front desk staff is automatically notified during patient check-in and reminded for any tasks requiring a follow-up or immediate attention. Appointment reminders are also made available through the scheduler. This feature enhances office efficiency and the productivity of doctors and other personnel. The EHR system also features a Patient Portal and Tele Medicine. Through the Patient Portal patients can access important information such as lab results and their own medical records. Furthermore, this feature allows patients to communicate with the personnel regarding their appointments and read information on the specifics of their medications and illnesses. As an extension of the Patient Portal, the Tele Medicine enables communication with the physician via video which can be done through a mobile device or computer from any location. Since exchange of messages are optimized by these features, patients have the comfort of their inquiries being promptly answered. ReLi Med EHR is also well known for its charting capability. Charting in ReLi Med eliminates errors in documentation due to auto-saving, as it keeps all details safe while the user is preparing his charts. In such way, doctors won’t have to worry about any incomplete documentation or any type of data loss. They are also provided an option to select which charting method they prefer as the software has different charting methods built in it. With such flexibility and capability, ReLi Med EHR improves efficiency in documenting patient encounters. If you are considering Reli Med EHR it might also be sensible to examine other subcategories of Best EHR Software collected in our base of B2B software reviews. There are well-liked and widely used applications in each software category. But are they essentially the best fit for your organization’s unique needs? A market-leading software solution may have thousands of customers, but does it provide what you need? For this reason, do not blindly spend on popular systems. Read at least a few Reli Med EHR reviews and think about the factors that you wish to have in the software such as the price, main functionality, available integrations etc. Then, choose a few solutions that fit your wants. Check out the free trials of these products, read online reviews, get explanations from the maker, and do your homework thoroughly. This profound homework is sure to help you select the best software application for your firm’s unique requirements. How Much Does Reli Med EHR Cost? We realize that when you make a decision to buy EHR Software it’s important not only to see how experts evaluate it in their reviews, but also to find out if the real people and companies that buy it are actually satisfied with the product. That’s why we’ve created our behavior-based Customer Satisfaction Algorithm™ that gathers customer reviews, comments and Reli Med EHR reviews across a wide range of social media sites. The data is then presented in an easy to digest form showing how many people had positive and negative experience with Reli Med EHR. With that information at hand you should be equipped to make an informed buying decision that you won’t regret. What are Reli Med EHR pricing details? What integrations are available for Reli Med EHR? If you need more information about Reli Med EHR or you simply have a question let us know what you need and we’ll forward your request directly to the vendor.